I recently attended the Ecologies of Future Publishing symposium at the Royal College of Art (RCA). As with all good design discussions it posed more questions than it answered. A lot has been said and written in the last five years along the lines of, ‘is the book dead?’ and, ‘is print dead’? Responding to this challenge, the aim of this event was to hear about the role of the book more broadly and to provoke debate about the established ways we consume published content. A variety of international practitioners led us through the new ways in which we can realise storytelling and communication, and what the digital and physical realm can both bring to publishing now that the e-book excitement has quietened. The day began with Neville Brody introducing these ideas before turning over to a series of speakers, broken up by panel discussions and presentations of work, all of which was moderated by Adrian Shaughnessy. Up first was Andrew Piper who had travelled from Montreal to speak at the event. An associate professor of Languages, Literatures and Cultures at McGill University, he opened with the provocative statement that the e-book was nothing but an impoverished version of the book before delving into how data analysis can be used in regards to literature. One of the most interesting points he made concerned the idea of being able to annotate and comment on a document, and how this can add more voices and perspectives to a digital conversation. The plug-in Hypothesis is a development that aims to add a new layer to the web and hopes to take the place of the note-adding function, recently removed from Google Docs. Completely open annotation raises questions about our capacity to take in such a wealth of commentary, and how to prevent any notes added descending to the level of discussion often found in comments sections, which many will know to be an unpleasant place. Following on from this was a panel discussion, at the start of which each speaker briefly explained their creative practice in relation to publishing, which varied across the board. David Blamey found distribution, irrespective of medium, to be central to his interest in publishing; though often working with printed material, the act of disseminating ideas was the main purpose. For this reason, he has also worked across installation and recently released a vinyl record as another format to distribute ideas. The third speaker on the panel was Stuart Geddes who had flown in from New Zealand for the event. Geddes is the designer, co-editor and publisher of the incredible motorcycle magazine, Head Full of Snakes. 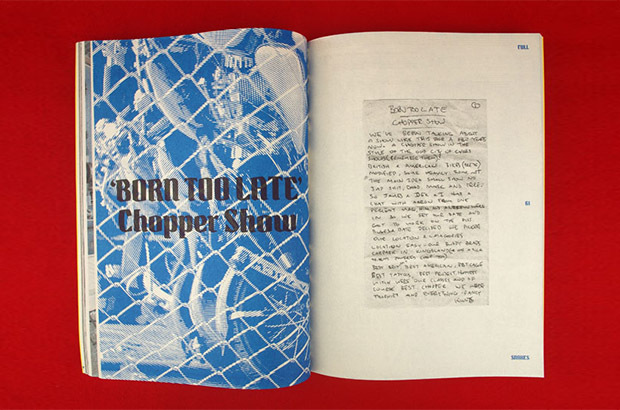 Riso-printed in its entirety, this magazine is a labour of love as well as a perfect example of a product that would lose out significantly if replicated in any other medium. Rathna Ramanathan, who leads the Visual Communication course at the RCA brought the publishing house Tara Books to the attention of the crowd. Based in Southern India, Tara Books has often elevated the artistic practice and voices of people whose activities could otherwise go unnoticed by the international arts community. The book Following Her Paint Brush tells the story of Dulari Devi, a folk painter from Bihar, and helped to garner some of the critical acclaim she now enjoys. Her poor beginnings often inform her work, which depicts contemporary social issues and scenes found within her local community. Certain cultural artistic endeavours, such as Devi’s, have previously been ignored because they have taken place in a domestic setting, in rural and poorer areas and been created mainly by women. In this way the book as an object is capable of validating grass-roots art and bringing the issues it may depict it to a wider, international audience. The Murty Classical Library was another great example shown by Rathna Ramanathan, of ways in which the book can be used as a device for salvaging people’s history, especially when integrated with digital formats. The project responds to the problem of Indian regional languages falling out of common usage, risking the loss of local people’s histories. 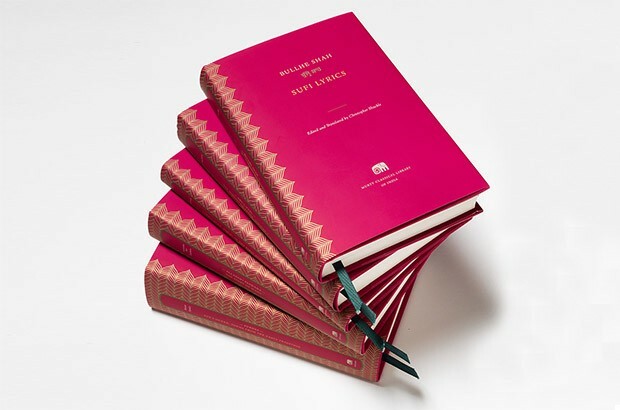 To combat this, the Murty Classical Library of India has created a set of beautifully designed books of great Indian literature, with the English translation as well as the full text in languages such as Kannada, Marathi, Panjabi, Persian, Sanskrit and Telugu. Custom typefaces were also designed to ensure legibility across all the languages. Soft-cover versions kept things affordable, and the content was also made available digitally to ensure the texts could be accessed through mobile phones if readers could not justify buying the print version. The project showed how the book format could be used to supplement a cultural heritage initiative without ignoring the user, making the product as accessible as possible to the audience that needs it most. What I took away from the event was that while the book as a format may be hard to improve upon, the way we integrate it into a digital environment can open up a world of possibilities, especially in terms of accessibility. By integrating different methods of delivering content, the hope is that a more diverse range of voices could be involved in the distribution of information, with open access and self-publishing enabling a wide reach and a global audience.